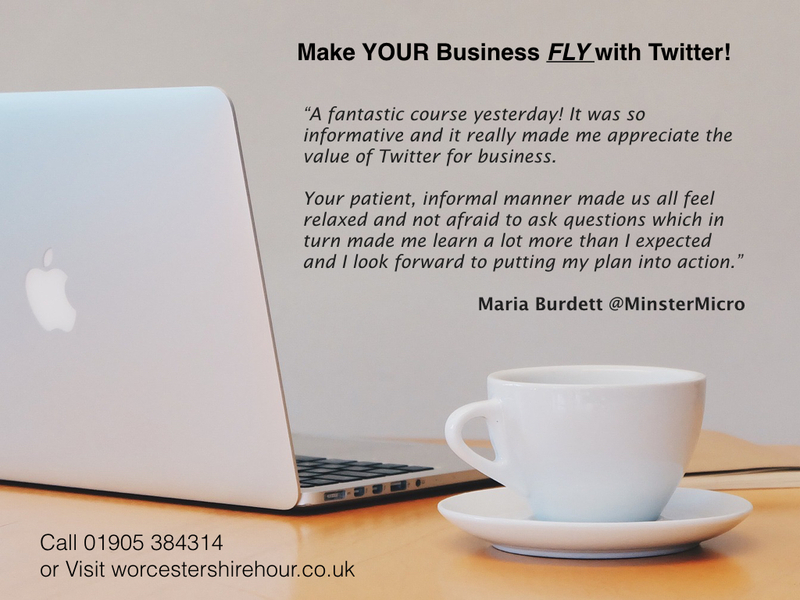 To help businesses (and charities/NFPs) understand how to make Twitter work for you, we have created two interactive workshops designed to develop your Twitter knowledge and marketing skills. The workshops will be run at the superb facilities provided by Open Space Meeting Rooms in Malvern, set in a quiet rural location just 15 minutes from Worcester with plenty of free parking. Class sizes will be limited to ensure everyone gets individual tutor time where needed. Excellent FREE wifi is available. Learn some theory —> Look at a case study —> Watch a live demonstration —> Have a go yourself —> Get support —> Have another go —> Got it —> Move on! You will need to bring your own (wifi enabled) lap top computer or large tablet (not ideal) and of course you MUST have access to a valid Twitter account. If you need help to set up an account prior to attending then please contact us. What will you get from the course(s) and afterwards? The full day workshops will run from 9am to 4.30pm and the price includes refreshments and lunch. Courses are a great way to meet new contacts so be sure to bring business cards, or better still connect online on the day via LinkedIn and of course, Twitter! 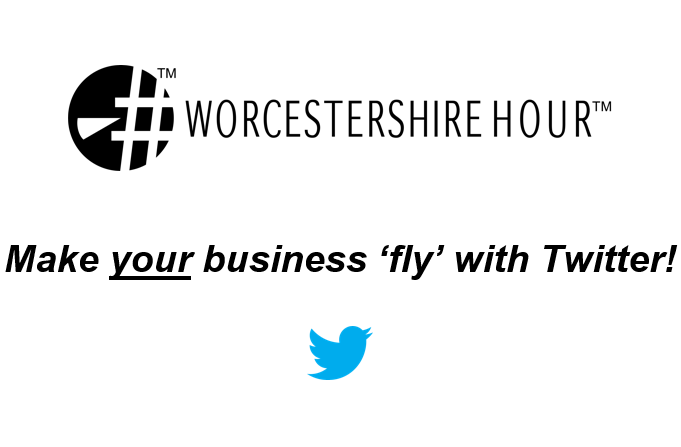 Make YOUR Business FLY with Twitter! Your tutor will be Stuart Allen, Managing Director of Worcester based The Sales Performance Company Ltd. Stuart works with businesses to help their sales teams to sell more and at higher profit margins. He has been using Twitter to effectively market his own business for many years and has circa 74,000 followers. He is also a Fellow of The Chartered Management Institute (CMI) & The Institute of Sales & Marketing Management (ISMM). Stuart founded #WorcestershireHour™ on Twitter in 2013 to help promote businesses across the County with a theme of “Keep It Local”. That event has been phenomenally successful and is now probably the most sophisticated regional Twitter ‘hour’ in the UK. In 2014 Stuart started a new business (with social enterprise aims) called Worcestershire Enterprise Ltd to handle the commercial activities of #WorcestershireHour. The business raises money through sponsorship and events and employs one full time social media executive. Those of you that have had a chance to hear Stuart talk will know how knowledgeable he is terms of sales, Twitter & business in general. He is also an engaging tutor and his courses are never dull.